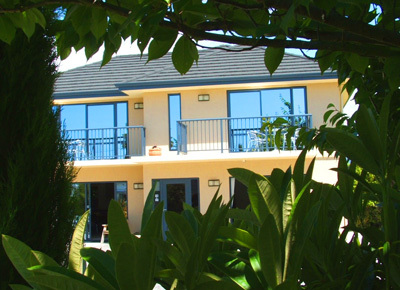 Whatever your reason for visiting the Abel Tasman region, Motueka is the place to stay. Take time out for a scenic cruise along the Abel Tasman's coastline, or maybe visit an art gallery or two, relax at a winery or café, or enjoy a walk on one of our golden beaches. Your ideal base for exploring the Abel Tasman National Park, Nelson, Golden Bay and Kahurangi National Park. Whether you're here for work or play, at Avalon Manor Motels in Motueka, we'll make sure that it's a visit you'll remember. All our motel units have plenty of room to spread out and relax in. The kitchens are well equipped, roomy and positively encourage you to stock up on fresh local produce and sample the region's wines. 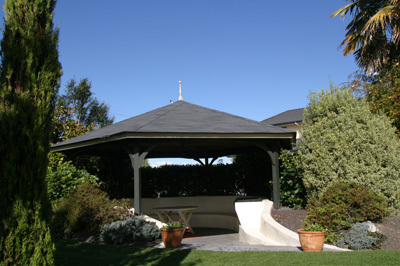 We have a delightful garden with a gazebo as its centrepiece where our guest BBQ and outdoor dining area is located. Our guest laundry has two washing machines and two dryers (there is plenty of line space if you don't want to use the dryers). ". . . Everything far exceeded our expectations. We have spent the last 14 days touring the South Island and this motel was the best we stayed in by far."